In support of the digestive system, intestinal action and skin and fur care! 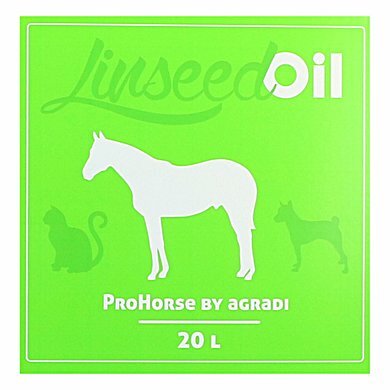 ProHorse linseed oil is a feedstuff for horses. The linseed oil supports the skin and ensures that the coat gets a beautiful shine. 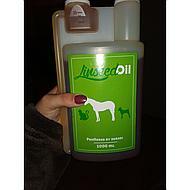 Lineseed Oil is a 100% cold-pressed linseed with all natural active substances remaining intact. 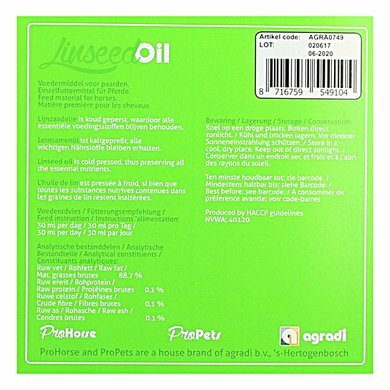 Lineseed Oil contains a high proportion of essential Omega 3 fatty acids for optimal intestinal and healthy digestion. 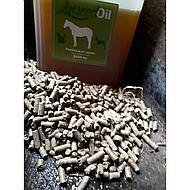 Support for digestion and skin, the coat of the horse is gorgeous. 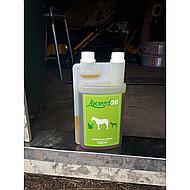 30 ml per day per an adult horse. 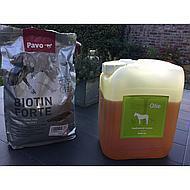 ProHorse is the home brand of Agradi BV. Quality products for competitive prices. have collaborations with suppliers. In addition, we can keep the price advantageous by purchasing large-scale. A sharp price goes on at ProHorse, so never at the expense of quality. 97% would buy this product again. Fine linseed. Pourer had made the use of a large jug easier. useful for a number of horses. and much cheaper that way. handy with the pump. Great product and ideal to file. My horse takes it smoothly. Answer: The linseed oil is not cooked but cold-pressed. Question: Is this also possible to give to Shetlanders? So how many Shetlanders can have this? Answer: I expect that 10 to 15 ml is enough for a shetland. If you give too much linseed oil this can not hurt you. Question: hello, can you also feed linseed oil with other supplements? Answer: Linseed oil can be used in combination with other supplements. Question: Is linseed oil dangerous for load-bearing animals? Answer: Linseed oil is not dangerous for pregnant horses. It contains various healthy omega fatty acids. 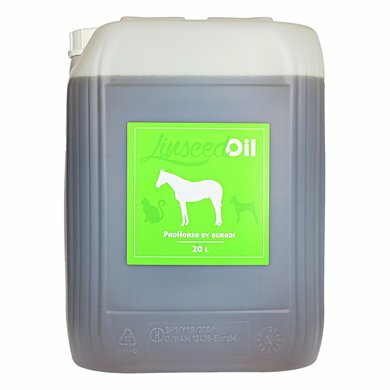 Question: I would like the composition of the ingredients that are in the prohorse. Answer: The product only contains 100% cold-pressed linseed oil. Question: Can I give my dog ​​something too. 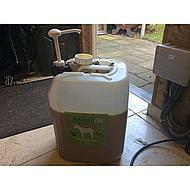 Question: Maybe a strange question, but is the 'ProHorse Flaxseed Oil Plus 5ltr' not only for horses but also for people to use? 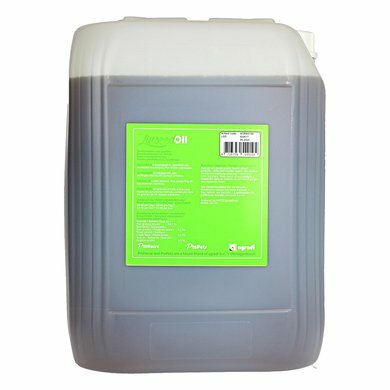 Since there is no nutritional value on your linseed oil, I can not compare it with the linseed oil that I use. Answer: The product is meant for animals, not for people. I hope you understand that we prefer not to recommend this to people. We can not promise you anything and therefore do not know if it is harmful for use in humans. For this you can better buy flaxseed oil that has been specially developed for human use, the quality of which is suitable and controlled for human use.